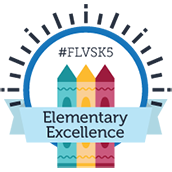 Although FLVS students live all around the world, the majority of them live in the state of Florida. Many people know that Florida, also known as the Sunshine State, is famous for its sunshine, beaches, and warm weather. However, the state has other interesting and a few crazy aspects that many of its natives may not even know about. Here are twenty crazy facts about Florida. 1. Florida is the flattest state in the U.S.
2. Florida is the only state that has two rivers that have the same name. There is a Withlacoochee River in Madison County and a Withlacoochee River located in central Florida. 3. Florida is the second largest producer of citrus fruits in the world and the first largest in the United States. 4. Florida has more golf courses than any other state. 5. St. Augustine, which is located in Northeast Florida, is the oldest European settlement in North America. 6. Clearwater has the highest rate of lightning strikes in the United States. 7. Cape Canaveral, a city in Brevard County, is the United States’ main launch pad for space flights. 8. Florida has 663 miles worth of beaches. 9. Every public building in Florida must have outward opening doors due to strong winds during hurricane season. 10. Roughly 45 million people visit Disney World every year. 11. Florida’s oldest tree is currently 3,500 years old. 12. Florida is the 29th most obese state in the country. 13. Florida means “Flowery Easter” in Spanish. 14. The world’s deepest freshwater spring is Wakulla Springs, which is located near Tallahassee, Florida. 15. There are more than 30,000 lakes in Florida. 16. Gatorade, a sports drink, was named for the University of Florida’s gators. 17. On the outskirts of Tampa, there is a bed and breakfast known as Wildlife on Easy Street that allows visitors to cuddle with an endangered cat for a $100 donation. 18. The first suntan lotion was invented by a pharmacist living in Miami, Florida. 19. Miami has the largest cruise ship port in the world. 20. Before Orlando was called Orlando, it was known as “Jernigan” after of the first permanent settler in the city. 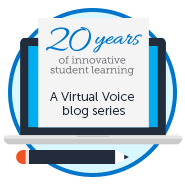 This post was written by Florida Virtual School student Estella Waczewski and originally published by the FLVS student newspaper, News in a Click. 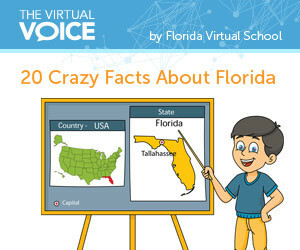 This entry was posted in Parent Edition and tagged Facts about Florida, History, Infographics, News in a Click, Social Studies, Student Clubs, Student Voice on September 3, 2015 by Guest Blogger.